As I have previously stated, 2015 was one hell of a year. Not only did I publish my debut novel, “Bad Citizen Corporation,” but I also got to know a ton of kind, passionate, hilarious and wildly talented writers, publishers, readers, bloggers, reviewers and podcasters along the way. I couldn’t be more thrilled about the diverse and supportive crime/mystery community I have found myself a part of. BCC will also be eligible for various other “Debut,” “P.I.,” and “Best First,” contests in the coming months. So if you read it and you liked it, please keep it mind. If you haven’t read BCC, or you need a refresher, here are a few recent reviews: CRIME SYNDICATE, DEAD END FOLLIES and OUT OF THE GUTTER. If you want to see a list of some of the books that I will consider voting for, check out my recommended reading list for 2015. Thanks for a great year either way. An award nomination of any kind would only be icing on the cake. Looking forward to connecting with more of you in 2016! S.W. 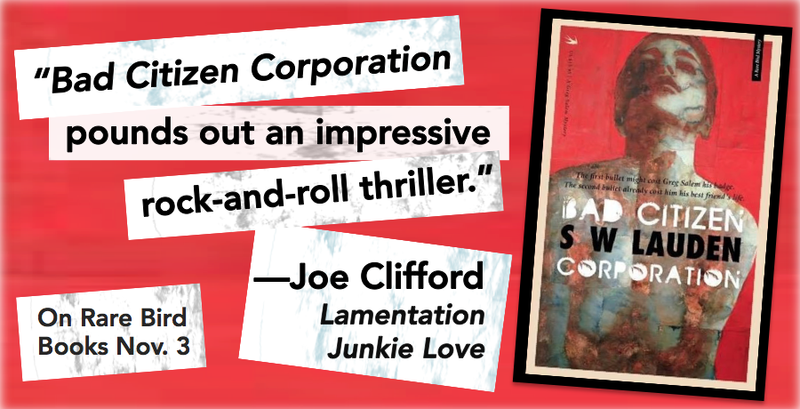 Lauden’s debut novel, BAD CITIZEN CORPORATION, is available now from Rare Bird Books. His novella, CROSSWISE, will be published by Down & Out Books in March 2016. 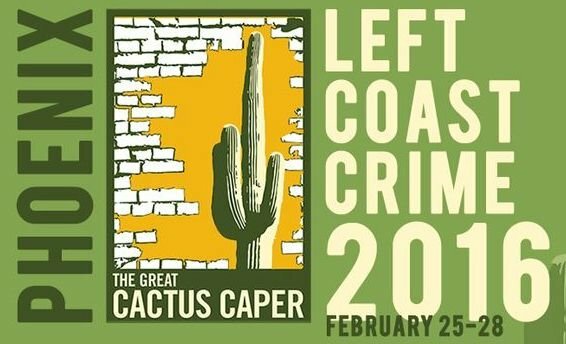 This entry was tagged Bad Citizen Corporation, beach cities, Best LCC Regional Novel, California, Greg Salem, LA, Left Coast Crime, Lefty Awards, los angeles, Phoenix, punk, punk rock, South Bay. Bookmark the permalink.